Constipation is no stranger to any of us. At some point or the other, each of us has experienced this unpleasant digestive disorder. It is one of the most recurring gastrointestinal problems, and it can hinder healthy bowel movement. To steer clear of constipation, you need to load up on some fiber-rich foods and stomach-friendly foods. Constipation can occur due to dehydration or a poor diet, causing the slow movement of food through the digestive tract. It can even occur due to an ailment or disease. But don’t worry, a few superfoods can boost the process of digestion and get the motion going! Here are 10 such foods that can relieve constipation and keep your bowel movements regular. Let’s start with apples! It’s true that an apple a day is good for your health as it can increase the frequency of stools and prevent constipation. 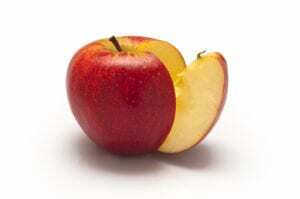 Apples contain a dietary fiber called pectin. When pectin enters the gut, it is rapidly fermented by bacteria that can send water into the colon. This, in turn, softens the stool, boosting the digestion process. Eating apples regularly can accelerate the stool movement through the intestines, thus improving symptoms of constipation. Oats are rich in soluble fiber, which helps in softening the stool and makes it easy for the intestines to get everything moving. They also contain insoluble fiber that can increase the bulk of your stool. So, if you ever face pooping issues, you know what you need to do. 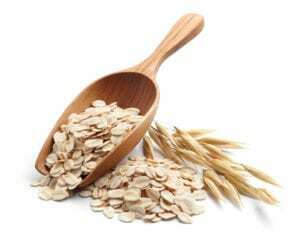 Having an oatmeal breakfast is every day is the best way to improve bowel function. Citrus fruits are not just refreshing snacks, but they also serve as rich sources of fiber. Oranges, mandarins, and lemons are high in pectin. And as we discussed above, pectin can accelerate digestion and eliminate constipation. 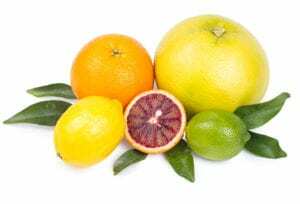 Citrus fruits also contain compounds that work as natural laxatives. So, keep a few citrus fruits handy in case of emergency. A few bites of an orange or grapefruit can give you all the fiber needed to keep your bowels regular. 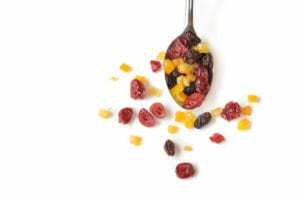 Just about half a cup of berries – whether it’s blackberries, strawberries, or raspberries – can work as a laxative when it comes to speeding up digestion. 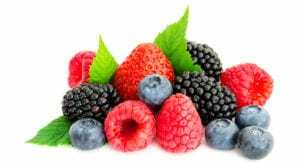 These delicious fruits are rich in antioxidants and fiber – both of which are needed to get the intestines working smoothly to eliminate waste. The fiber increases the softness of the stool and frequency and decreases the transit time in the gut. Green vegetables are always recommended for a healthy bowel movement. For example, spinach, sprouts, and broccoli are not only excellent sources of vitamins but also fiber-rich. They add bulk to stools and let them pass quickly through the gut. 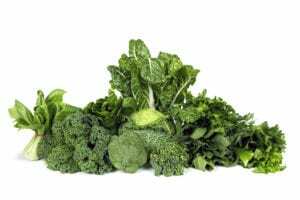 While they might not be the obvious go-to choice, these green veggies are super healthy and low in calories and high in fiber (about 20% of every day recommended fiber intake). Whether cooked or eaten raw, they will give you a fiber boost and relieve any signs of constipation. 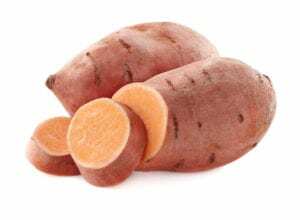 Sweet potatoes are rich in fiber and can relieve any stage of constipation. One serving is equivalent to about 15% of the recommended daily fiber intake. Adding sweet potatoes to your diet can help keep constipation at bay and help you pass stool at an average rate. They may just be something to nibble or snack on during the day, but nuts are also very healthy. 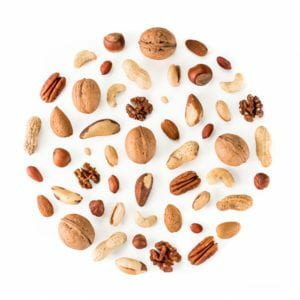 Adding just a handful of them – peanuts, pistachios, walnuts, or almonds – to your diet can offer a lot of benefits. Nuts are popular as excellent sources of healthy fats and protein, but since they are also rich in fiber, they can help boost digestion. Just add them to your dishes for an added flavor or munch on them, and you will see the constipation symptoms are almost gone. Flaxseeds have been used for ages as a remedy for constipation, thanks to their laxative properties. 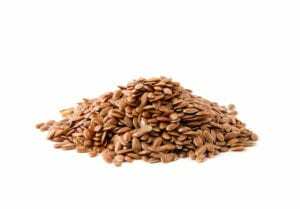 Flaxseeds are one of the best remedies for digestive disorders. They are also rich in soluble and insoluble dietary fibers, which not only increase the frequency in stools but also add bulk to stools, easing the elimination process. Dry fruits contain sorbitol and fructan that have a natural laxative effect on the intestinal tract. Not only are they delicious, but they should also be your go-to snacks. People used to turn to prunes when they had bowel issues as they are rich in fiber – the solution for constipation. Lentils are probably one of the cheapest solutions to relieve constipation. They are fiber-rich and contain both soluble and insoluble fibers. 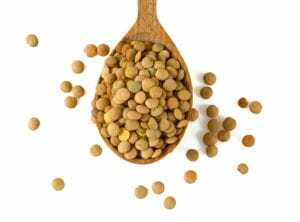 Adding lentils and pulses to your diet can aid healthy bowel movement by adding bulk to the stool and softening its passage. These foods can improve the symptoms of constipation and help you develop a healthy bowel movement. It always helps to steer clear of foods that can trigger constipation and stick to a high-fiber diet instead. Also, remember to stay hydrated as dehydration can lead to constipation. The post 10 Foods To Relieve Constipation appeared first on 10 Most Today.